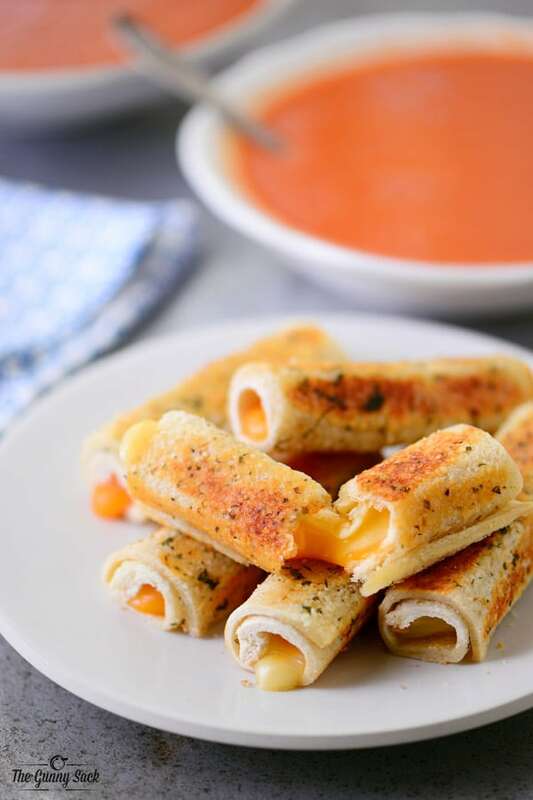 Parmesan Crusted Grilled Cheese Rolls have warm, melting cheese surrounded with toasted bread. They are a new spin on a childhood classic. Sponsored by Tablespoon. 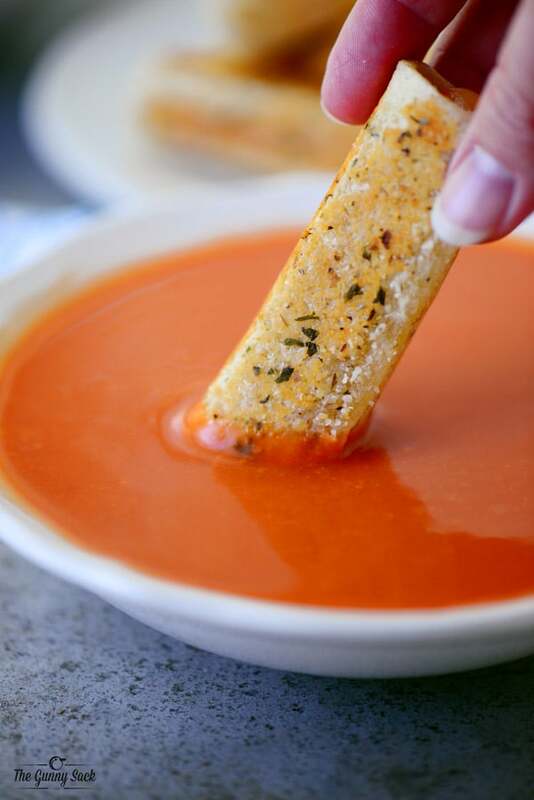 Grilled cheese and tomato soup is a classic childhood favorite that can still give us a feeling of nostalgic comfort. It’s time for that classic grilled cheese to have a fun upgrade that your family will love. While looking around Tablespoon.com, an article called Your 10 Favorite Childhood Dinner, Only Better caught my attention. I decided to make the Grilled Cheese Rolls. My family’s favorite grilled cheese sandwiches are coated with parmesan cheese and spices. The parmesan gets toasted while cooking and makes the grilled cheese sandwiches extra special. So, I coated these grilled cheese sticks with parmesan before cooking them and we love how they turned out. Prepare the bread following the recipe instructions from Tablespoon.com. 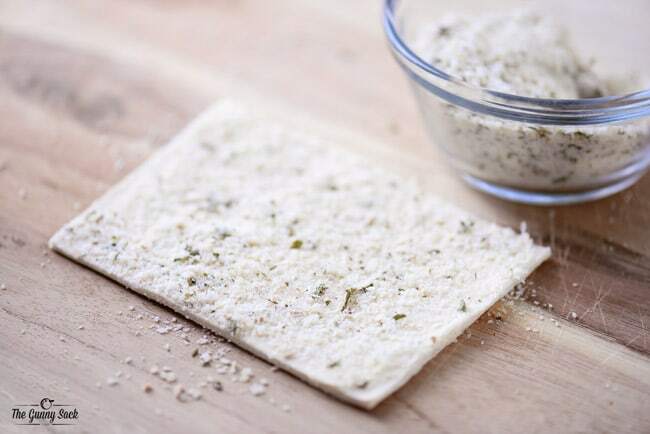 Then, mix together grated parmesan cheese, parsley, oregano and garlic powder. Spread butter over the slices of bread, sprinkle with the parmesan cheese mixture and press it gently into the butter. Instead of using slices of American cheese, I used marble jack cheese sticks. Find all the details for making these Grilled Cheese Rolls HERE. Just look at that warm cheese, oozing out! They are irresistible! I made these to be served with soup for a meal but they would be a fun after-school snack as well. 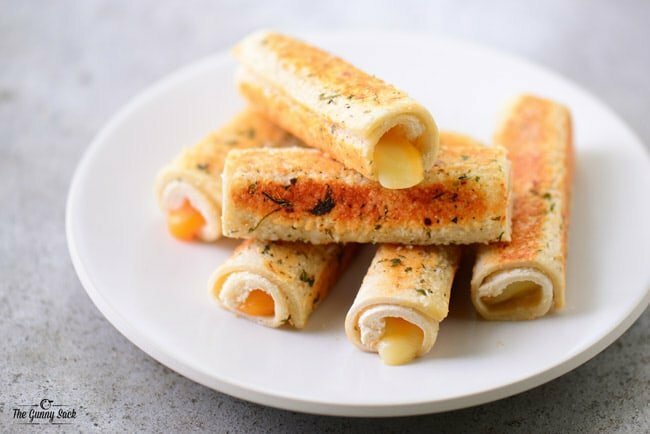 Everyone from the toddlers to the adults will love these parmesan crusted grilled cheese rolls! Serve them with bowls of warm tomato soup. This is a sponsored conversation written by me on behalf of Tablespoon. The opinions and text are all mine. Yummy! These rolls look so good that I want to take a bite. Thanks for this great recipe! My kiddos would LOVE these and so would I for that matter!